GORGEOUS 2001 COLONIAL offers pristine condition and exceptional value! Spacious 2,500sf home boasts fabulous curb appeal and impeccably maintained mechanicals. Warm and inviting from the moment you step inside, youâll find each space to be airy and comfortable with a consistent high-quality feel throughout. Kitchen gleams with spotless appliances, granite counter tops, tile backsplash and lots of bright recessed lighting. Main level features formal living room with fireplace and 23â X 24â family room, plus formal dining room big enough for the largest dining sets. Perfect for entertaining! Amazing hardwood flooring on both levels and staircase gleam like brand new. All bedrooms in this home are very spacious - see floor plan included in photo set for all generous room sizes! Master bath has double sinks w/ granite and deep jetted tub, while the walk-in closet offers excellent storage. Youâll find fresh clean paint, lots of crown molding, quality fixtures and hardware throughout this perfectly maintained home. The scenic, lightly wooded back yard and quiet cul-de-sac location are perfect for pets and safe play. Youâll have a nice sized deck out back, clean dry basement and attic for lots of storage and most of all, a fabulous house and property youâll be proud to come home to and call your own. 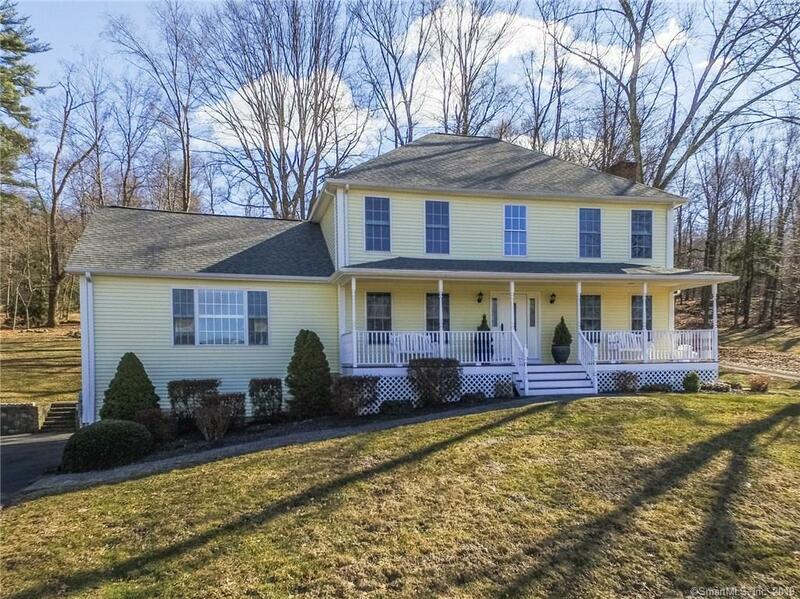 Beacon Falls offers Region 16 School System, wonderful parks and outdoor recreation, and a convenient commute to Fairfield, Hartford, Danbury and New Haven.